AMERICAN FREEDOM by BARBARA: **TOMORROW** is Arizona Gives Day! 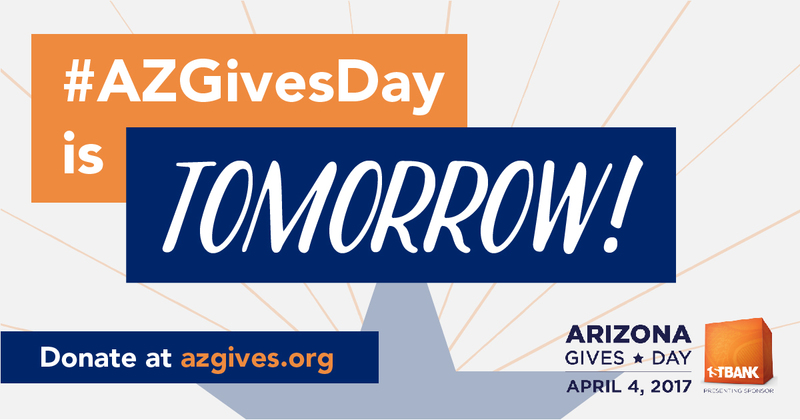 **TOMORROW** is Arizona Gives Day! Tomorrow is the big day: Arizona Gives Day 2017, the statewide, 24-hour, online giving campaign, kicks off at 12:01 a.m. tomorrow. We need your help to make it a successful day for AZCIR. Our unique investigations and accountability journalism are only possible because of the generosity of our supporters. By donating to AZCIR, you demonstrate how dearly you cherish the freedom of the press and understand the crucial role it plays in our democracy. There is no better time to show how much you value fact-based journalism is, especially in today's "alternative fact" world. Need more encouragement? Here you go: Every donation made to AZCIR on Arizona Gives Day will be matched dollar-for-dollar by the Ethics & Excellence in Journalism Foundation, allowing us to do twice as much good work. Help us spread the word about Arizona Gives Day by telling your friends and family about AZCIR, what we do and why you feel it's important. Labels: **TOMORROW** is Arizona Gives Day!